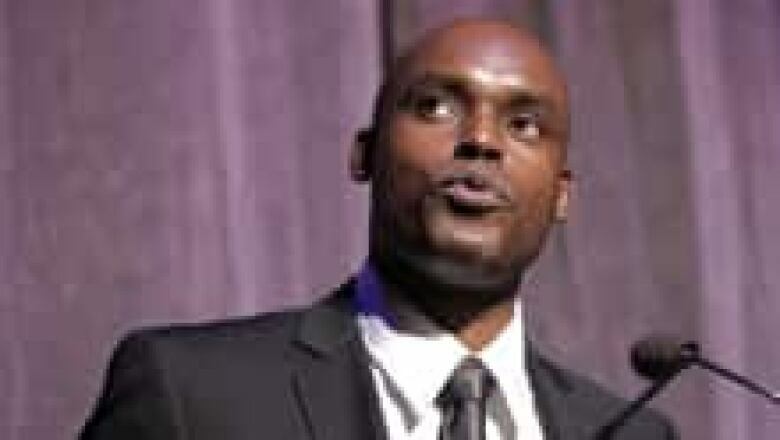 Cameron Bailey first came across Bollywood films during his childhood in Toronto, while channel-surfing through Saturday morning cartoons. Later, when appointed the Toronto International Film Festival's programmer for South Asia, he fully immersed himself in the region's vastly layered cinematic culture. Now TIFF's co-director, Bailey shares some insight into the world of Indian cinema with CBC News. Q:What were your initial impressions when you first delved into the world of Indian film? A: There are hundreds and hundreds of films made there every year and a lot of people to meet and names to remember and styles to master. It goes well beyond Mumbai. There are strong filmmaking traditions in all different regions of India. It's important to think of India — instead of as one country — as more like Europe. In the same way that Greek film is different from Swedish film, a film from Kerala is different from a film from Mumbai. A film in the Telugu language is different from one in the Tamil language is different from one in the Bengali language. There is such a strong film-loving tradition in India that, I think, it supersedes anywhere else in the world. You can talk to anyone, from a scholar to an auto rickshaw driver, and they all know and love movies of one kind or another. Q:Did early Indian cinema reflect early Hollywood? A: The influence of American cinema is actually quite slight and I think it diminished over the years. It was always just some kind of counterpoint, in terms of what Indian filmmakers were doing in response to what was coming out of Hollywood. Indian filmmakers had such strong and rich traditions to draw on. Legends, folk tales — they had all kinds of things to draw from both in secular and religious traditions that went far beyond Hollywood. Q:Many in the West find Indian films unusual in that, for instance, a single movie might have song-and-dance and melodrama as well as action sequences. What's behind this mix? A: The Indian palate is different than the Western Anglo-Saxon palate in terms of what people are looking for in entertainment. There is this sense of a masala. Bollywood movies are called masala movies in the sense of a mix of spices. Not just one taste, but many tastes. Or there's the dish called thali, which is a plate of many different kinds of things: you've got sour and sweet and savoury and bitter — all the different tastes that the human palate can take in, all in one meal. That's what Bollywood movies are. In the Western tradition you have separate genres. You won't find broad comedy in a film noir, you won't find music in an action film. But in Bollywood movie, you will. There are obviously sociological elements to this as well. [In India] people go to movies in families — in two or three generations sometimes — in ways that they don't necessarily in the West. For all kinds of reasons, from the psychic to the sociological to the cultural to the religious to the political, Bollywood movies just function in a much different way than Hollywood movies do. Q:Indian film's Golden Age was in the 1950s and 1960s. Why was this period so important? A: There was a sense of strong nationalism, of the birth of the Indian state and the Indian identity, separate from the colonized identity. Also, you happened to have the coincidental maturing of film technology and the film industry. At the same time as the country's coming of age, you also have sound technology and film at its height — this was black and white for the most part. It had been in existence in India for long enough that the technicians were at the very height of their powers. They could do wonderful things with cinematography and sound and recorded music. You also had a group of artists — writers, directors and actors — who were also skilled and had been around as part of a film culture for long enough to be drawing up new traditions. A similar thing happened in Hollywood in the late 1930s and through the war years, where the political and the social flourishing of American culture coincided with the maturation of the technology, and you had this incredible run of movies. Between 1939 and 1941, you probably had the best movies America has ever made, from Citizen Kane to Gone with the Wind to many, many others. Q:When did Indian film become more recognized internationally? A: There was another flourishing that came later, in the late 1970s through part of the 1980s, which coincided with the maturation of migrant communities around the world. There are and have been South Asian communities in the U.K., in the Caribbean, in South Africa, in the Gulf and more recently in North America — mostly Toronto, Vancouver, New York, in Texas. As those communities came of age, the movies became a big part of it. It was probably the single most important export from the home country. The parents might have migrated as young people to get a good education or a better job, but they raised their kids in the new culture with the old movies from home. Nearly every South Asian kid who was born in North America — born in Toronto or Vancouver, say — can tell you that their parents or grandparents would have shown them these movies growing up. Q:Were Indian filmmakers also recognized at film festivals? A: There was probably a greater recognition from the late 1950s through part of the 1970s of filmmakers like Satyajit Ray, Mani Ratnam and much later on Ritwik Ghatak — the very intellectual, political filmmakers who were reflecting the social conditions of life in India, particularly among the underclass. Some of those filmmakers were celebrated and won awards at international festivals. Q:How has Indian film influenced the larger cinematic community? A: A film that many people point to, and it has obvious influences, is Moulin Rouge, which is essentially a Bollywood movie with Nicole Kidman in the lead role. It has the energy, the style, the kind of crazy euphoria that you find in the best Bollywood movies — just that sense of pure pleasure taken in images, sound, the kinetic ability that cinema has beyond any other art form. It's about colour and movement and light and music and the swirl of all of those things together. There's no other cinema from any part of the world that does that better than Bollywood does. Q:In recent years, TIFF has featured high-profile Indian film events as part of its annual offerings. What prompted this decision? A: We had always shown art house films, the great examples of international cinema. But when I came on as programmer for that area, I felt we also have to engage with the popular cinema more. It's just really interesting cinema, in the same way that popular cinema coming out of Hollywood can be very interesting. But also because there's a very strong audience for it in Toronto that is cognizant of what's going on and sophisticated about watching popular cinema from India. And because it's fun! These movies are just fun to watch. It began that with this film called Kabhi Alvida Naa Kehna that was directed by Karan Johar, who I think is a really interesting filmmaker — I would compare him to people like George Cukor in Hollywood in the 1940s. He's someone who understands romance and melodrama and longing in very, very potent ways and shows it onscreen. 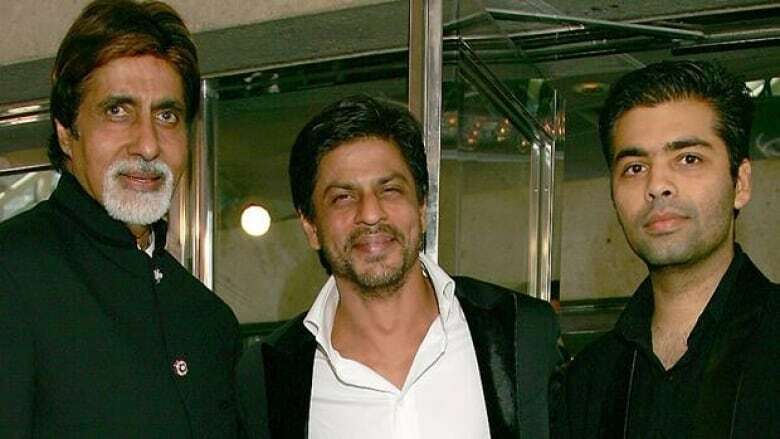 This one particular film had the two biggest stars coming out of Bollywood in it: Amitabh Bachchan and Shahrukh Khan. We brought them both to Toronto that year  with Karan Johar and it was just pandemonium. That was the first time that we saw what the power and the force of this kind of presentation could be at the festival. Q:What's on the horizon for Indian cinema? A: There's a rough comparison to American independent cinema. Sometimes you will have George Clooney or Brad Pitt or another major star, say Johnny Depp, play a role in an indie film that does not have any big commercial expectations, but stretches them artistically. It allows them to do something they're not able to do in a big-budget film. I think finally you're starting to see that happen in India. You have filmmakers who aren't just coming out of the cerebral tradition. They want to engage with audiences, but they also want to challenge their audience a little more, or express themselves as artists a little more. 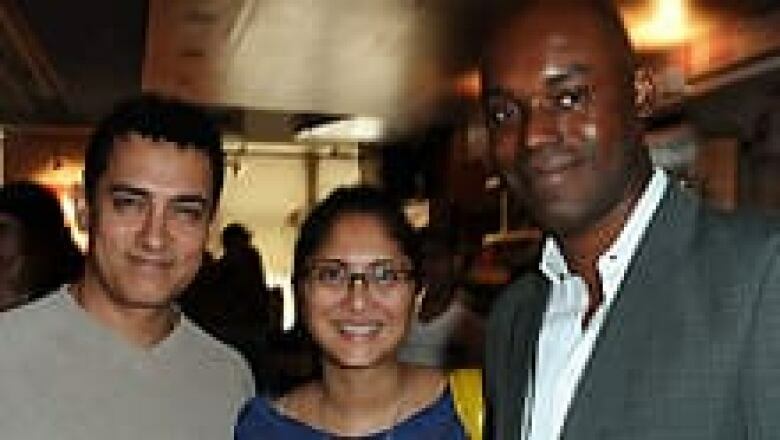 [At TIFF in 2010,] we had a film called Dhobhi Ghat, which Aamir Khan was the star of and produced as well. It was directed by his wife, Kiran Rao. Although it had this huge star in it, it was an independent film — kind of like an American indie or something coming out of Hong Kong, like a Wong Kar Wai film. We were able to deliver to our audience both the red carpet, crazy fan experience, but also a serious piece of cinema. I think that's where Indian cinema is going. You're finding a number of stars who want to mix up their big action movies or their masala movies with more interesting, artistically ambitious films. Kiran Rao, whose directorial debut Dhobi Ghat he described as having "real artistic ambition, a real distinctive style to it, a real strong engagement with the social reality of Mumbai — and it had a major star in it." Farah Khan (Om Shanti Om): "One of the most skilled and talented filmmakers right now." Aamir Khan: "One of the most skilled and talented movie stars in the world. I'd say the same about Shahrukh Khan. These are people who know how to entertain on-screen in a way that at least matches or surpasses anything that Hollywood has produced. We've seen Shahrukh Khan outdraw Brad Pitt in sheer star power." Anurag Kashyap (That Girl in the Yellow Boots): "He's going to be a very important filmmaker." Reema Kagti, whose next film is with Aamir Khan: "She's someone who understands the commercial vocabulary, but wants to give a little more depth, a little more substance to her work." Aamir Bashir (Harud): "An actor who's had success in commercial films and he's chosen to begin to direct because he wants a little more control of the projects and to bring a little more substance to them."